Our in-house restaurant, Lucile’s Steaks & Spirits, is currently closed for renovations. In the picture above, you can see what our kitchen look like right now! As we recently shared, Lucile’s was named the restaurant to visit in Appanoose County by Travel Iowa early this year. So why close for renovations? Isn’t being recognized as one of 99 restaurants to try in Iowa enough? Short answer: no. While we are thrilled to be recognized for our historic charm and quality food, we knew we owed it our customers and staff to do a back-of-house kitchen renovation. Because while our guests might never see the kitchen itself, it has a huge impact on their dining experience. From determining what we can offer on our menu to attracting experienced cooks, the kitchen sets the tone for the entire restaurant. The footprint of our kitchen has been the same since 1893, when menus, diner expectations, and building codes were very different. By slightly expanding our kitchen and bringing in all-new equipment, we are creating a dining experience that we believe will serve our guests for decades to come! But what about today? 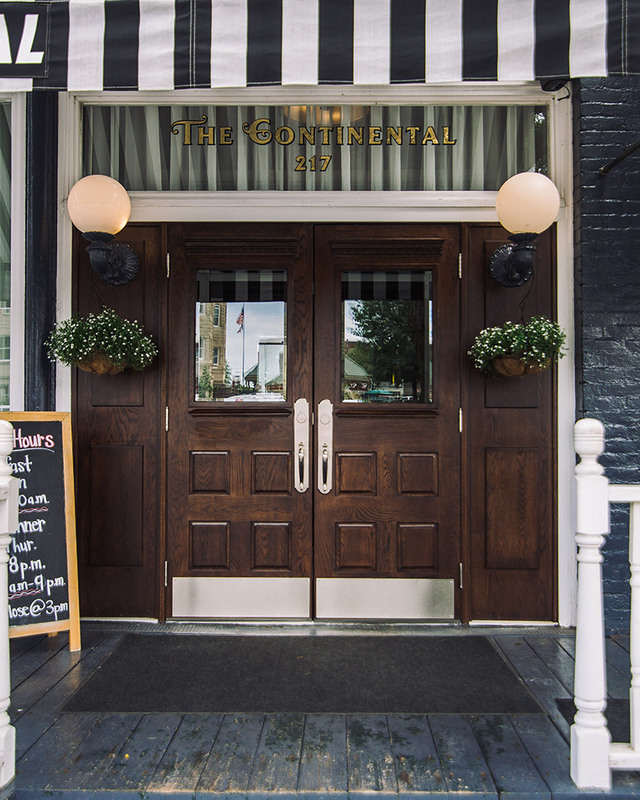 Don’t worry, if you’re visiting Centerville or staying at The Continental in the near future, we’re still working hard to provide quality food options in the area. During the renovations, our hotel guests can enjoy a complimentary continental breakfast each morning that includes hot options like pancakes and biscuits and gravy, as well as fruit, yogurt, and hot coffee. We’ve also opened Lucy’s Pop-Up Restaurant, a temporary lunch and dinner restaurant just a few doors down. You can see our menus and hours at facebook.com/LucysPopUp. We’re excited to continue serving our customers and community on the historic Centerville square. And to keep as many of our valued staff employed during the renovation as possible. We hope you’ll stop by. Remember: the pop-up is temporary, so you’ll have to experience it while you can!